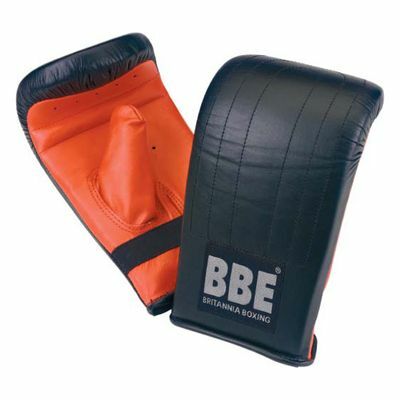 The BBE Club Premium bag mitts provide boxers with a close and comfortable fit thanks to the elasticated cuff. These high quality mitts offer a ventilated palm material for added comfort and are fitted with an inner palm finger grip bar. The pre-formed multi-layer foam padding provides excellent shock absorption, while the anti-slip and anti-bacterial lining guarantees great sweat absorption. The mitts are made from leather for enhanced durability and an amazing feel. for submitting product review about BBE Club Leather Premium Bag Mitts.